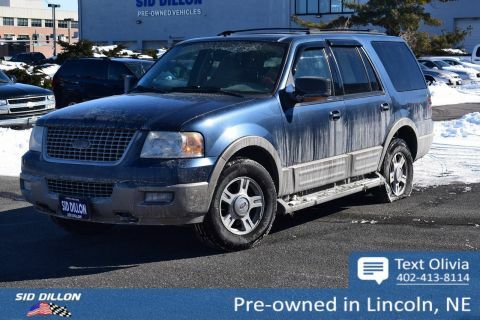 Safe and reliable, this 2003 Ford Expedition Eddie Bauer makes room for the whole team. Side intrusion door beams, Front/rear outboard head restraints, Front/2nd row adjustable shoulder belt height, Driver & front passenger airbags-inc: driver seat position & load severity sensing, Color-keyed lap/shoulder safety belts w/Beltminder system-inc: buckle pretensioners, load-limiting retractors. 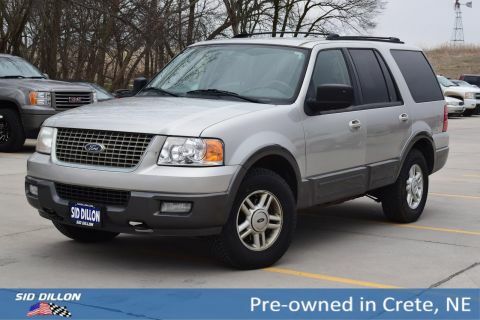 Child-proof rear door locks, 4-wheel anti-lock braking system. 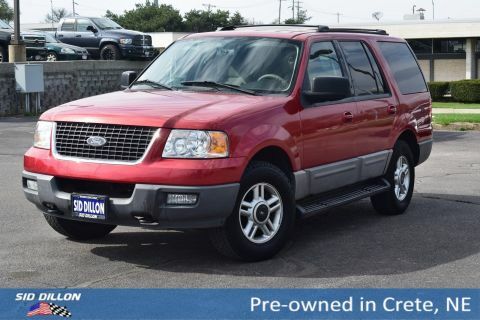 5.4L (330) SOHC SEFI V8 TRITON ENGINE (STD), Warning lights-inc: door ajar, fasten seat belts, anti-lock brakes, cruise control, airbag, engine check, high beams, parking brake, low fuel/washer fluid, turn signal, charge system, OD off, check gauges, Vinyl 3rd row 60/40 split bench seat-inc: fold flat feature, Variable assist pwr rack & pinion steering, Underbody-mounted full size all-season BSW spare tire w/crank down feature, Two-tone leather front captains chairs-inc: 6-way pwr driver seat w/2- position driver memory, dual manual lumbars, Tilt steering column. 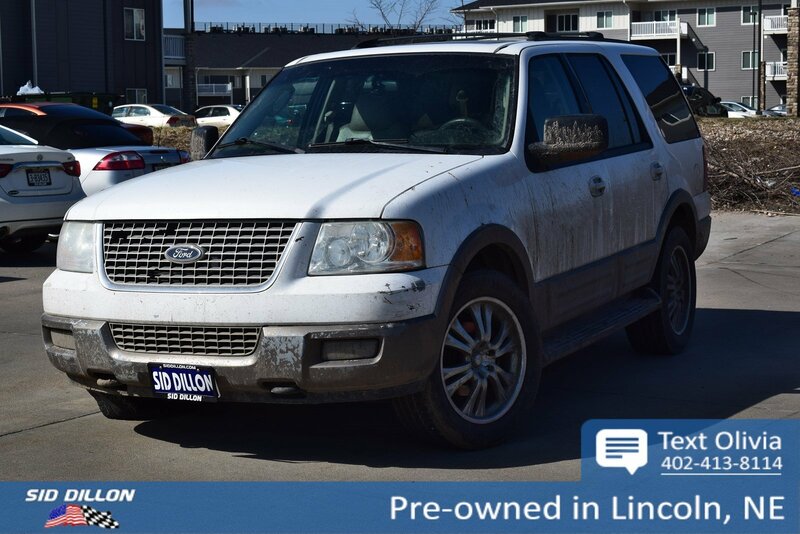 A short visit to Sid Dillon BNH Lincoln located at 2627 Kendra Ln, Lincoln, NE 68512 can get you a trustworthy Expedition today!